The Sacred Pipe Resource Center (SPRC) was founded in 2007 by a group of long-term residents of the Bismarck-Mandan area who are committed to the mission of maintaining a home-away-from-home for off-reservation American Indians living in the area. The founders realized the need for an organization to assist Native people and families who are living away from their homelands, while respecting the sovereign nature of their individual Tribal citizenship. 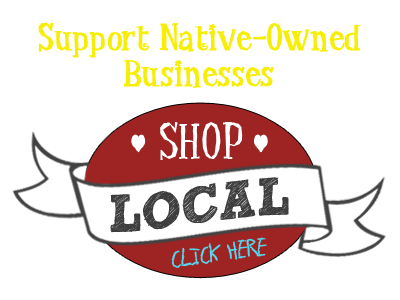 The Sacred Pipe Resource Center is a North Dakota non-profit and 501(c)3 organization. SPRC seeks to enhance existing services by providing critical data, outreach and cultural brokering needs, rather than replicating or competing for existing services. Through the use of quantitative and qualitative data, SPRC addresses service gaps which may be met by partnering with organizations already providing similar services, and by seeking funding to fulfill gaps in services. Smoking the pipe with another meant sharing truth, kinship, prayer, and spirituality together. Ceremonial pipes, as used by Native people, have sometimes been called “peace pipes” by Europeans, which is a bit of a misnomer. The čhaŋnúŋpa (cha-NOON-pah) was used in sacred ceremonies to offer prayers in a religious ceremony, to make a ceremonial commitment, or—in their experience—to seal a covenant or treaty. Historically, ceremonial pipes were used to formalize peace accords, guide commerce and trade, impact social and political decision-making, and provide solemnity to special occasions and interactions. The pipe was brought to the L/Dakota people by the White Buffalo Calf Pipe Woman, who also provided instruction in its use, symbolism, and the ways of life required by the pipe. The smoke from the pipe represents a manifestation of one’s spirit and, therefore, one’s truth. Smoking the pipe with another meant sharing truth, kinship, prayer, and spirituality together. The Sacred Pipe Resource Center takes its name from the meaning behind the pipe as a tool for sharing spirit, truth, reconciliation, and peace. Although the Native peoples and the settlers who came to this area have had a history of conflict, today we also have a history that includes survival, reconciliation, peace, and shared love of land. The Sacred Pipe Resource Center uses the symbol of the sacred pipe to demonstrate the mission of serving the American Indian population by creating partnerships and positive collaborations based on our shared experience of living in this region. May all of our interactions be governed by principles of shared truth, kinship, prayer, and recognition of spirit.